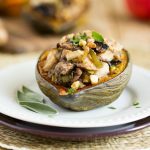 Nothing says fall like some stuffed squash halves! 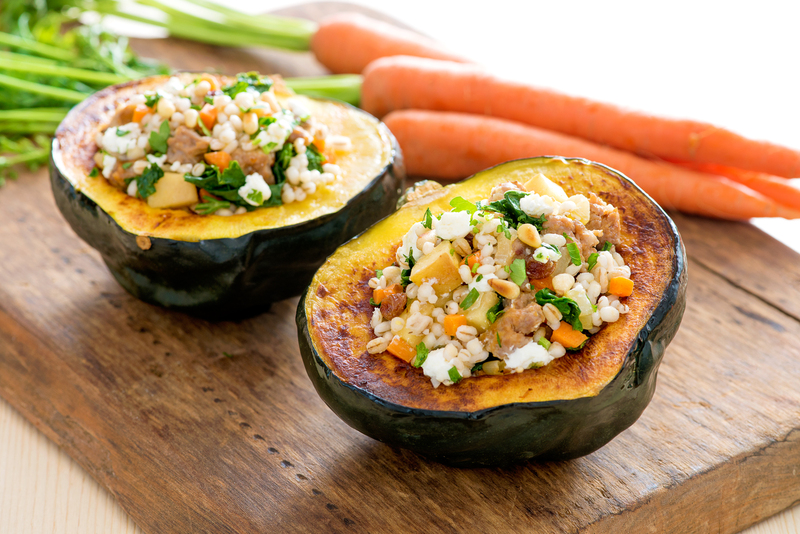 Make this tasty and filling sausage and barley stuffed acorn squash. 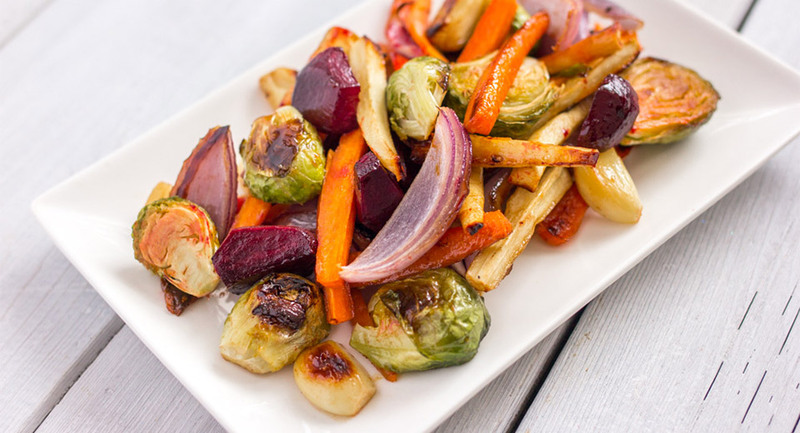 Filled with fall flavours, this will appease everyone at the table. The tender, nutty acorn squash melts in your mouth and surrounds the stuffing with a sweet, velvety texture. You can easily make this vegetarian friendly by swapping out the sausage with vegetarian sausage or beans. Preheat oven to 400˚F (200˚C). Half and seed squash then brush flesh side with 2 tbsp (30 mL) oil and season with half each of salt and pepper. Place on parchment paper lined baking sheet and bake cut side up for 35 to 40 minutes or until tender. Meanwhile, heat remaining oil in large skillet set over medium heat. Crumble in sausage and cook for 5 to 8 or until starts to brown. Add onion, celery, carrot, apple, garlic and sage. Cook, stirring, for 5 to 8 minutes or until tender. Stir in broth. Bring to a simmer and stir in kale; cook for 1 to 2 minutes or until wilted. Remove from heat. Stir in barley, raisins, vinegar, honey, half of the parsley and remaining salt and pepper until combined. Gently stir in half of the goat cheese. Spoon filling evenly into squash halves. Bake at 400˚F (200˚C) for 15 to 20 minutes or until filling is heated through and goat cheese softens. Garnish with remaining goat cheese, pine nuts and parsley.